A landscape version of 'Pumphuset'. 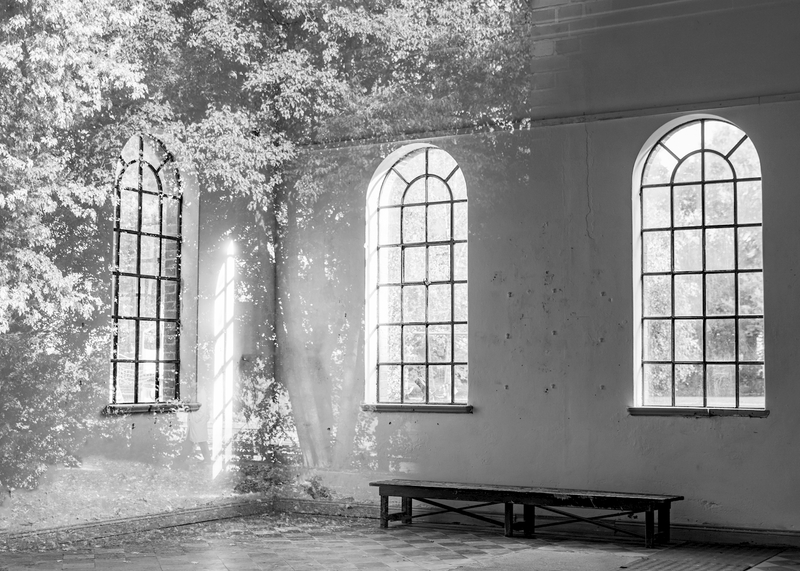 A photograph of an old building with arched windows is one of our most popular prints. The light and reflections mirror the outside trees in a magical way and create a unique piece that is a statement piece of any wall. Perfect on its own or as part of a gallery wall.